START LIVING YOUR MAGICKAL LIFE NOW!!! Hi, I’m Suzie, aka Madame Zee of Madame Zee Tarot, and I'm going to help you get your magical mojo back! 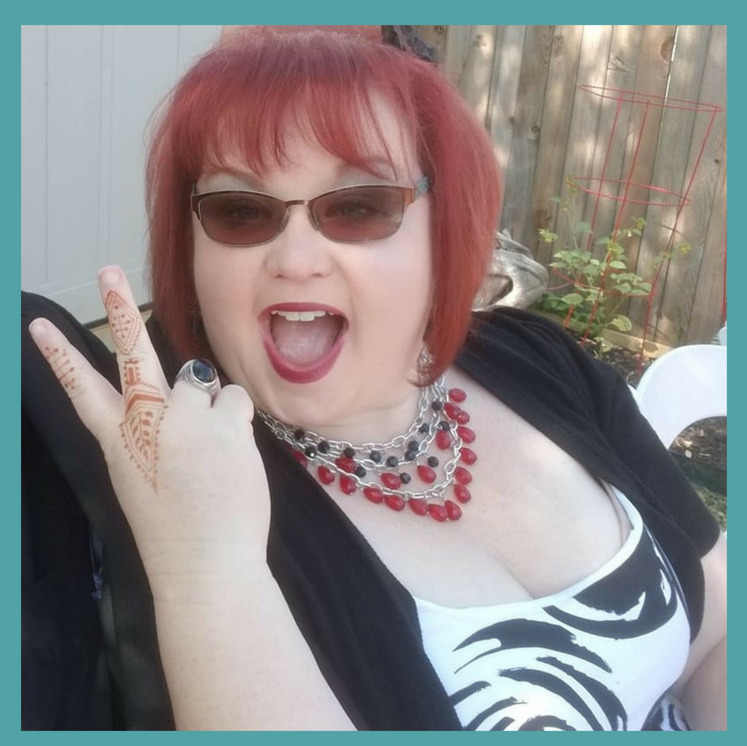 I’m a feminine empowerment leader who has been involved in the Wiccan and Pagan communities for over 15 years teaching women how to connect with the Goddess to live a more witchy and enchanted lifestyle. I’m also a world traveling, knowledge seeking, Mother Earth lovin’, Goddess honoring, crystal hoarding, professional Psychic Tarot consultant. I am a person who lives their life through connecting with Mother Earth & live my daily life through Spirit. 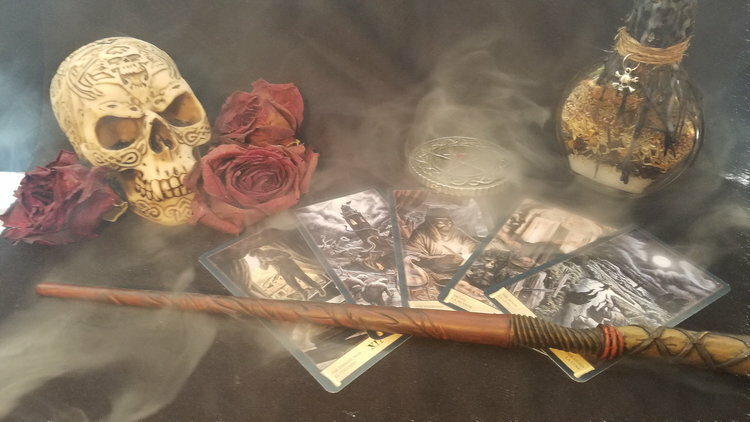 My super witchy power is introducing new and old practitioners alike to Tarot cards, crystals, witchy woo and other earth-based metaphysical practices to bring that spark back into their lives. I have experience running many covens, rituals, women’s circles & my very own online group program: Badass Witch Bootcamp. And now, I want to mentor YOU. Here's the thing. I’ve been where you are, my sister. YOU ARE TIRED OF BLENDING IN AND WANT TO FULLY OWN YOUR WILD, WITCHY POWER! Just like you, I was living a mundane life of work, stress, deadlines, & longing for something deeper. I knew I wanted to make my own enchanted life and I knew the power of magick would help me but I was stuck! Like stuck in the old Tennessee red mud stuck!! So I started reading every book about Wicca, Magick, and Paganism I could find but I was missing a HUGE piece of the puzzle. I needed someone I could connect with, ask TONS of questions about EVERYTHING woo, witchy, & enchanting and I needed it all in one place. I didn’t have time or the money to read every single book out there, watch all the videos & plan out my next Magickal step. I was super busy with my education, corporate job, friends, & just plain ole LIFE! I NEEDED A DIVINE INTERVENTION NOW! THIS IS FOR THOSE WHO ARE TIRED OF LIVING AS A MUGGLE! I was lucky enough to find a mentor who helped me along my Magickal path. She nudged me in the right direction, guiding me with lots of powerful insights, tools, & empowering female energy work. She was patient, kind, humorous, knowledgeable, & knew her witchy shyt! And above all, she had more faith in me than I did myself. She saw the Witchy potential in me that I wasn’t capable of seeing. She lifted the thick mundane veil from my life & exposed me to a wonderful Supreme Witchy Magickal life! This is exactly the Witchy Coach I’ll be for you. If you can relate to anything I have said, this 1-1 mentoring opportunity is designed especially for you. How to bring Magick into your everyday life. Witchy Advice in every situation. Support during every phase of your Magickal Practice. How to protect yourself from and banish negative influences. Support with growing ALL of your magickal gifts. Help with being fully Magickally in tune and aligned. You love Woo and crystals. You want to connect more with Mother Earth & Goddesses. 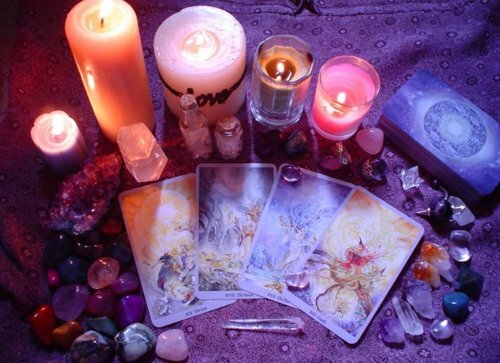 You find spells, magick, & the moon cycles enticing. You sit all day & talk about Tarot & Divination. You want to take your witchy power back. You want to be in tune with your Magickal Gifts. You want to take your Witchy Power to the next level. You feel like life is passing you by and desperately want to change this. You languishing in your work and relationships because you’re hiding who you are. And YES!! Don’t let another day of magickal uncertainty pass you by. Say YES to being a powerful Witch! I’m giving you the power back to manifest magick in your life. There is no waiting to start your Magical Life. 3 Month membership into my online coven-Cauldron of the Witches Moon. BOOK WITHIN 24 HRS OF YOUR WITCHY DISCOVERY CALL AND RECEIVE THESE BONUSES! 3 Exclusive Workshops from the Witchy School of Wisdom Vault... your choice! 6 month membership into my online Coven-Cauldron of the Witches Moon. Access to a private 1-1 group just for the two of us to upload files, share, have sacred space, and to discuss Custom Witchy work. This is not a cookie cutter Coaching program. I don’t just create a one time program & shoot it out to all of my clients. It’s very niched down & catered to you, your interests, your struggles, your blocks, & your goals. It’s like having a BFF that’s a Witch & High Priestess! I’m here to help you and guide you along your path, but you have to do the work & finish the prompts to achieve your goals. After all, what good is a plan without action and TONS OF MAGICK!! Witchin' 'aint easy! Let me help you.